Category Archives: What is a faith school really like? The way PE was done might be considered a little odd; in hindsight it probably was. This was largely due to the small size of the school. The boys and girls would have separate lessons, but I can’t really comment on the girls’ lessons since I was never there. The church had, as an additional ministry to the school, a theological college. Various people from inside and outside the church would come and attend small classes, preparing them for either church leadership or missionary work. It was these ministers-in-training who would lead the PE lessons and they had fairly free reign in what they chose to do. As it happened, at just about the time I moved to the MLC, the 2 ministers-in-training consistent of a former tank driver and a hot-headed Scottish rugby enthusiast (who was also married to the pastor’s daughter!). Consequently, they introduced rugby to the school, which we had never played before. Previously the autumn/winter sport of choice was football. The rugby was kind of a mixture of league and union, and was semi-contact, rather than full contact. So we had lineouts, mauls and scrums, but not rucks. To tackle someone, you had to get both palms of your hands on someone’s torso or arm, but you weren’t supposed to use excessive force (this rule wasn’t always followed, not least by the PE teachers themselves). The trouble was that the MLC had a spread of ages. I joined the MLC early, at the age of 10, and was playing with boys up to the age of 16. As such, there was a significant physical difference and I did not enjoy myself one little bit. In the summer term, rugby gave way to volleyball, which I was actually very good at, in spite of my short stature. Occasionally, though, we would do athletics. I had a reasonably good technique on the discus, and I was always better on the long distance runs than the short sprints. The school was subject to regular OFSTED inspections just as any other school would be and, as far I know, always came out with a clean bill of health. Being a small school, we were limited in what we could offer. At the time I did my options in year 9, the total number of GCSEs one could sit was 9. I sat all 9. After I went to sixth form college, I met people who had done between 10 and 13 GCSEs, but such extravagance was not afforded to us. I may have been able to do more, but I suppose we will never know. Of course, the ultimate aim of a school is to educate students. One of the key measures of this is the exam results and you can also trace how their subsequent academic career has panned out. By the time I left, the school was on the wane. The school regularly outperformed all the other local schools in terms of their GCSE results and the sixth form college that I went onto held the school in extremely high regard as the handful of students it turned out every year were well-rounded, hard-working students with good academic pedigree. The staff taught multiple subjects, which I think was unusual compared to most schools. The principal, who was qualified to be a chemistry teacher, taught chemistry, one half of the biology syllabus, history and geography. The vice principal, who was qualified to teach maths, taught maths, physics and the other half of the biology syllabus. The one teacher who was qualified to teach history actually taught English language, English literature and also French. The French was interesting, as our regular French teacher left shortly after getting married, but since one foreign language was compulsory, we were in a bit of a rut. So this teacher was actually learning French at evening classes and then teaching us on a lag of about a month. The fact that one-third of her first class (i.e. 2 of us) got a grade A made her quite chuffed. Her husband taught us the first year of IT, with her eldest son teaching us the second year. This was an odd situation, as her other son was in the year below me, so he ended up having his elder brother as his teacher, as well as his mum! Not everyone lived up to their full potential, probably with no one falling shorter of what they were capable of than myself. In my mock GCSEs I picked up 7 A* and 2 A grades. At this point I became a little arrogant and embarked upon reading the entirety of Frank Herbert’s Dune series, with the bulk of my revision being done with the BBC Bitesize. Now Bitesize was designed for people who would struggle to pass and contained very little to take people from an A grade to an A*. Consequently, I dropped a grade on 8 out of my 9 GCSEs and ended up with a pretty poor showing of 1 A*, 6 A and 2 B grades. Some might say that they were good results. But given that my mock exams had me on 7A*s and 2As, I was pretty gutted. When I left in 2000, the size of the school had dipped to just 38 students (aged between 7 & 16, remember); at times it had been nearly double that. My year, with 6 people in it when we finished year 11, was one of the largest year groups there was. The school closed down a few years after I left. There simply weren’t enough children coming through and so the projected funds weren’t enough to keep it going. I was informed of this during my 1st year at university, though I can’t recall if it shut down mid-way through 2003 or 2004. Today, I am a christian. But am I a christian because of my decade at a christian school? No. 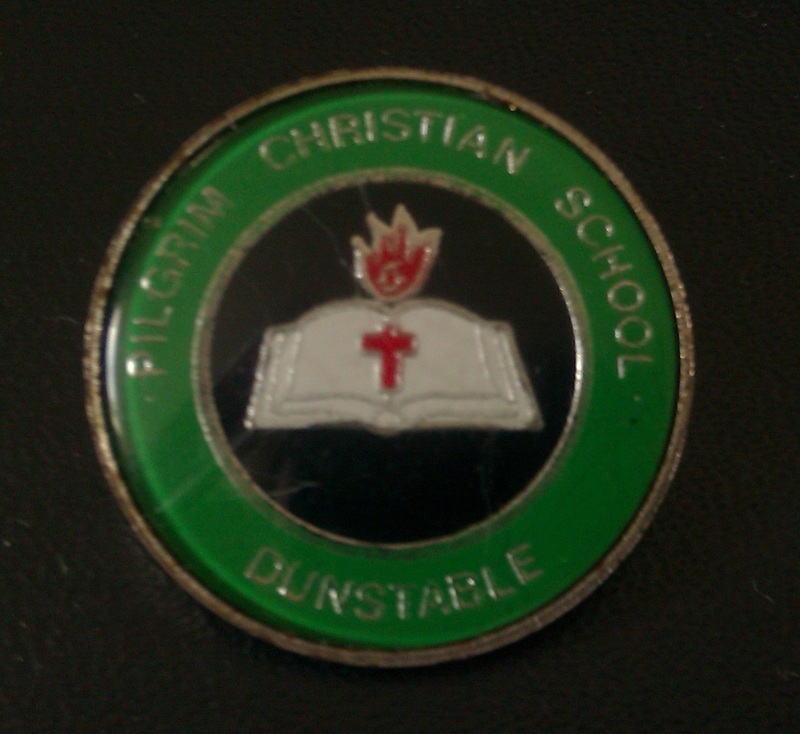 I would say I am a christian despite having spent a decade in a christian school. Over the time I was there, the church became more and more conservative. Some of this leached into the school, although the headmaster was avowed Thatcherite. Having learned to think critically, I rejected this conservatism in favour of a far more sensible worldview that was in closer accordance to the christianity I discovered for myself through reading the bible and conversing with others. This is a process that carried on after I left school, went through sixth form college, university and in my working professional life. My decade in a faith school made me a life-long learner. Posted in What is a faith school really like? Carrying on my look at what life was like in a faith school, (see here for part 1 – looking at the background of the school), here we come to the curriculum and teaching of the school. One of the ideas that seems to have some currency is that faith schools are a hotbed for teaching creationism. As popular as this idea is, it is without evidence. The curriculum conformed to the standards that were required of any school, as laid out in the legislation governing primary and secondary education at the time. When a child was in the ILC, and for the first few years in the MLC, they studied 4 core subjects: Maths, English, Social Studies and Science. All four were done through self-learning. We never had lessons for these subjects. Each week, you would have a tiny piece of card, on which you would write your targets on a day-by-day basis. You would write down the page numbers that you intended to work through the next day. These would be checked to ensure that you weren’t being too easy on yourself. If you didn’t finish your work by the end of the allotted time, you would have to finish it for homework. When you had finished a page, you would have to mark it. All students marked the work themselves. You would have to ask permission to go to a “scoring table” which had the books with all the answers in them. You’d check your answers against the model answers and say if you got them right or wrong. You’d then get a monitor (classroom assistant) to double-check that you’d done the scoring correctly. Maths was done through a company called Heinemann. Most people started at age on Heinemann primary mathematics group, working through the problems one by one and when you finish one book you move onto the next. I was a slow starter, so I actually started on infant maths, when I was aged 7. However, the self-learning style suited me much better, and I raced through these. Once I finished all the primary maths books, I moved onto the secondary maths books. These were completed with as much gusto as all the previous ones and before long I was onto uncharted territory: Heinemann 8 and then Heinemann 9. These last 2 were supposed to reflect the year numbers in which you were supposed to do them. However, I finished Heinemann 9 not long after I started year 9, and there were no other textbooks to work through. So for a while, I was at a bit of a loose end, but I managed to accelerate my work in other areas and to do past examples of GCSE maths coursework. This was by far the toughest of the subjects to do. The books we used were called LIFEPACs. I think they were christian, but any references to anything identifiably christian were few and far between. They were much more advanced than students at state schools were used to. This is evidenced by the fact that the grammar which we learned by the age of 10 was that which students found was actually part of their A-level courses when they encountered them 6-8 years later. They were based much more in understanding the material than the rote learning of Social Studies and Science (see below). This is a mixture of mostly geography and history, with a few random bits thrown in. This was mostly done through the ACE system, an American christian education plan. ACE stands for Accelerated Christian Education. The books were known as PACEs, Pack of Accelerated Christian Education. They were really easy to work through and I confess I made no attempt to use them the way they were ever intended. When you open the book, the left hand page contains text for you to read; the right hand page had individual sentences with one or two words omitted. Your task was to read the text so that you could fill in the words. Most people did this simply by scanning down the left hand page to find the sentence that matched the question they were being asked. The ACE system wasn’t followed precisely. As it was an American set of books, and social studies included history, there was, inevitably, a few PACEs that focused on American history. What the school did was to omit these PACEs and instead, one of the teachers wrote their own books on British History. There were 2 levels: the yellow book and the green book. This was our first exposure to what I was now call “proper study”. In order to answer the questions, we had to go away and do research. The answers weren’t to be found on the adjacent page, as they were in the PACEs. Instead, you’d have to trawl through 3 or 4 textbooks (these ones weren’t written by our teacher) to piece together an essay-style answer. Nomatter how bright the student was, everybody struggled with British History. This is pretty much what it says on the tin. Bear in mind that this started from PACE 1, started at the age of 7, though to (I think) PACE 94. I know certainly got to the 90s, but didn’t get through to the 100s. They covered all the basics that you needed for science, though there was a noticeable lack of experimental work. As a consequence, we never set foot in a laboratory until we were doing our GCSEs. But they laid out the basics. There wasn’t much chemistry at all. What I remember of the biology PACEs mostly revolved around naming bits of a plant, describing how they related to the reproductive process and lots on photosynthesis and various cycles (like the water cycle and the carbon cycle). I was never particularly interested in these; instead, I longed for and savoured the more physics-based PACEs, especially those on astronomy. Since this seems to be an odd fascination for some people, I thought if you’re likely to skip straight to any particular paragraph, it would be this one. But if you’ve done this, please do take the time to read the wider context. As stated above, the school did not teach creationism. That said, the headmaster was partial to it and there was about half a dozen issues of Ex Nihilo magazine (which did more to educate me in Latin than in science) in the school library, next to New Scientist. These were never introduced into science lessons. The church did support creationism and I recall one summer when the evening services ditched the sermons in favour of watching Ken Ham videos. As part of the biology syllabus for the double-science GCSE, we had to do some basic evolutionary biology. This mostly consisted of genetics, learning about genotypes, phenotypes, inheritance and variations based on mutations. Roughly, this made up about a quarter of the biology syllabus we studied (set by the EdExcel exam board). The only thing that could possibly have been misinterpreted as creationism was a strong emphasis in science to have a sceptical attitude. This included scepticism about what we were being taught. Yes, we had to know lots for our exams, but that should never stop us questioning accepted wisdom. This was not limited to science, and such an enquiring attitude was encouraged throughout the school curriculum. Mid way through year 9 (i.e. when I was 13) I had to take my ‘options’ – so they were ironically called. This was supposed to mark the end of the self-learning and the start of the classroom work. At this point all the ACE and similar work was left behind. It was a mere educational backdrop; now the work towards the important qualifications began. Classes varied in size depending on how many people were doing each subject and what ‘tier’ they did. For example, if you wanted an A or A* you had to do the upper tier in each subject. If you did a lower tier, then your maximum grade was capped. The largest class would have years 10 & 11 taught together, so for something like IT, we had up to about 14 in the class when I was in year 11. The smallest class was the upper tier maths. There started out with 3 of us in the class, but one found it too tough and dropped down a tier while the other person left the school before finishing their GCSEs. So it ended up being one-on-one tuition. For most subjects, the bulk of year 10 was spent getting our coursework done. There were some mock exams done at the end of the year, but they were just intended to see how you were getting on. The main mock exams came in January of year 11 before the final run-in towards the real things. In the last part of this mini series, I’ll look at the academic standards of the school as well as the challenges it had which other schools didn’t. Some of that will relate to gaps left above, but I’ve done so for reasons of space. I’ll also look briefly at the school’s legacy and how it has, or hasn’t, helped shape me as a person. Followers of the National Secular Society and the British Humanist Association will be familiar with their opposition to the idea of faith schools. This gets my goat a little, not only because they seem to be wasting a lot of their hot air talking about matters which are not especially important, but also because the image they would like to paint of faith schools is misleading and inaccurate. Why do I claim this is so? Well, it’s because I spent 9.5 years in a faith school. As such, I feel I am in a reasonable position to say what does and does not go on there. Further than that, both my sisters went and my mother was a classroom assistant at the same school. So this post is part-autobiography, part-mythbuster as to what goes on in the particular faith school that I attended. In the early 1980s, my local church set up a school. Various parents at the church had some concerns with the quality of the education in the local mainstream schools. Some had started to homeschool, but there were enough qualified people in the church from which to resource the founding of a new school with a christian ethos. Pupils would typically enter the school at the age of 7 (though admission did happen at later ages) and leave after the completion of their GCSEs (O-levels) when they were 16. I entered in January 1991. The school was split into two main classrooms, the Intermediate Learning Centre (ILC) and the Main Learning Centre (MLC). The ILC was for students aged 7-10/11 before you would go to the MLC. You would then stay in the MLC until you left, aged 16. The whole school was housed within the church building. The ILC occupied one room near the front of the church and the MLC occupied the basement. This necessitated a lot of shifting of furniture on a Monday and a Friday or, as happened sometimes, the church building was needed for a mid-week funeral. Each student would have their own “office”. These were desks that were separated by yellow boards of wood, where you would keep your books and stationery. They were fairly small, so if you needed more space, you had to ask a member of the teaching staff if you could use a tressle table. To ask for assistance, you had to put one of 2 flags on top of your office. There was a union jack which was for a monitor (teaching assistant) and a random-looking “christian flag” for a supervisor (class teacher). One of the key objections to faith schools is that they are selective, and therefore potentially discriminatory. In my school, the criteria was the beliefs of the parents. Their parents did not need to have to be members of the church nor did they even have to be regular attendees. All they had to do was to show a commitment to a church and to agree to the doctrinal basis of the school, which was tied to that of the church. This was not binding on both parents; I can recall at least one family where one parent refused to have anything to do with any church, though the parent was a member. That said, the vast majority of the children at the school were from two-parent families where both parents were christians. What was not selective was academic ability. This resulted in a wide of people actually being admitted. The year above me had 3 people in it. One was a chap who was great with computers long before it became “cool” to do so – he went on to do Computer Science at Oxford University. Another chap had a mental disability; had he not been in this school he would have had to go to a special school. If I recall correctly, his great achievement was leaving school with 2 GCSEs. Everyone was chuffed for him, as he had (and still has) a heart of gold. The third chap had missed out on several years’ worth of school, as his parents had moved around a lot and he had had to restart every time they moved. As a student there, I was not party to the full details of the school’s finances. It was fee-paying, though I am unaware whether or not it received any government subsidy. I don’t think it did, but I can’t be 100% that that’s correct. With all that said, I have no evidence of anyone ever having been turned away from the school. As it had to be fee-paying, some families in the church couldn’t afford them and so opted to home-school. When the school was founded, they wanted to have a school uniform that would mark the students out as being distinctive; something that couldn’t possibly be mistaken for belonging to another school. In so doing, there was a bit of a quandary. Most of the colours and styles were already taken. So the school opted for what was left: brown. The boys wore brown jumpers, brown caps and predominantly brown ties (though the tie did have yellow and green narrow stripes in it), yellow shirts and grey trousers. One thing we were able to look forward to was turning 13, because then we were allowed to ditch the caps. The girls had 2 different uniforms: one for winter, one for summer. The winter uniform was similar to the boys’ except that they wore brown skirts and had brown bowler hats instead of caps. In the summer, they wore brown and white gingham-check dresses and had straw boater hats. For sports, we had dark green tracksuits. The rest depended on what sport we were doing. As a result, we were very noticeable, though not always in a good way. Most students walked to school, and there was a high level of verbal bullying from students from other schools. I lived at the other end of town from most people, so was a rarer sight. As my mum worked at the school, she preferred to drive the 1 mile there and back, so I didn’t walk terribly often. But when I did it wasn’t unknown for me to have things thrown at me (often apple cores and banana skins) en route. In part 2, I’ll look specifically at the curriculum and teaching. To satisfy some people’s thirst, I have included a small section on creationism in this, as that seems to be a topic of interest and ire in equal measure amongst those who take an interest in faith schools. In part 3, I’ll finish off the curriculum by looking at sports, before discussing the academic standards and the legacy of the school.